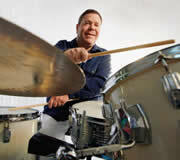 BUDDY RICH TRIVIA: You won’t believe who he’s played with! 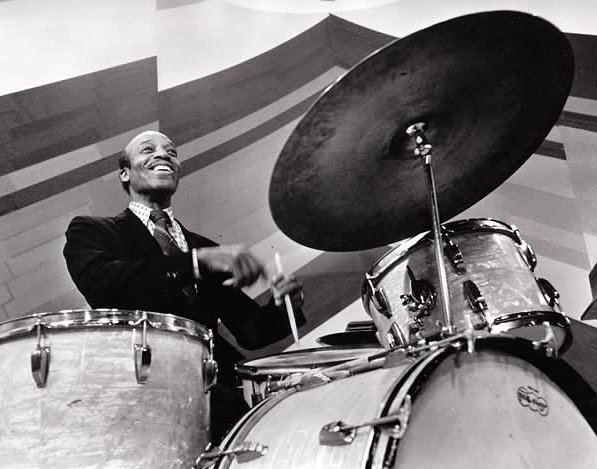 Those who remember the firery, hard-swinging, uncompromising, perfectionist known as “the world’s greatest drummer” may be in for a surprise after perusing the following. Before moving on, however, bear in mind that Buddy Rich was, for a good part of his career, as much a part of show business as he was a part of jazz. As a sideman with the orchestras of Bunny Berigan, Artie Shaw, Tommy Dorsey and Harry James, part of his job description was playing shows, backing star singers and dancers, drumming for floor shows, etc. All of that was just part of the gig, plain and simple. Even a glance at a detailed Coltrane itinerary shows that, in the course of a nightclub gig, the tenor genius had to play for a floor show. How times have changed, and I don’t know if it’s for the better. Cutting shows, as it used to be called, was a marvelous learning experience for all players. Presumably, that just no longer applies today. The following list does not claim to be complete, only representative of some real showbiz greats and near-greats who you never would think of as on the same bandstand–or in the same radio studio– as Buddy Rich. These were before the days when another drummer was brought in to play for the “name.” In those days, Buddy played for one and all. With Gene Kelly: As above. The history books have always read that Buddy Rich’s “bass drum experiment” was a “one time only” situation which took place at the Paramount Theater on February 22, 1949, when the Rich crew was on the bill with Mel Torme’. In fact, Buddy reprised his two bass drum feature on the Condon television program two more times: Playing “Old Man River” as he did at the Paramount on March 3, 1949; and on the tune “Heat Wave” on April 2, 1949. And finally, though many, would-be future jazz greats got their starts in Buddy’s big bands from 1966 through 1986, perhaps none became a bigger star than trumpter Chris Botti, who sat in the Rich trumpet section from December of 1984 through March of the following year. I look forward to receiving your questions, comments and additions to this list.